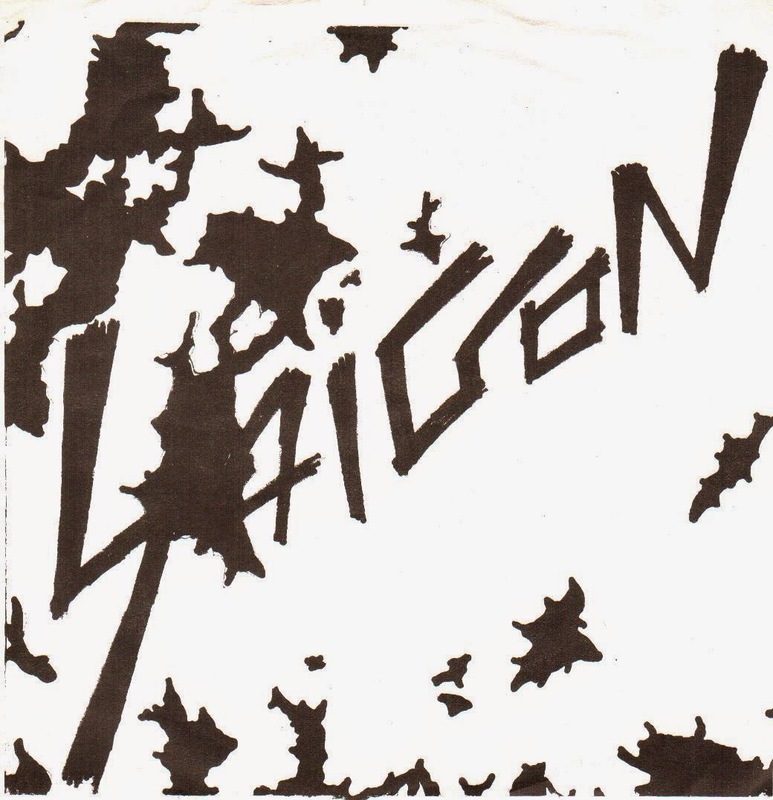 "The band Saigon formed in Orange County, California sometime late in 1980 or early 1981 and played the circuit throughout southern California until 1982. The band members were: Todd A. Hall – Vocals; Jessie Bingaman – Guitar; Adam Maples (aka. Adam Bomb) – Drums; Eddie Wayne – Bass. All songs copyrighted 1981 by Saigon." You can read more about Saigon via Hanson's YouTube channel, specifically here. 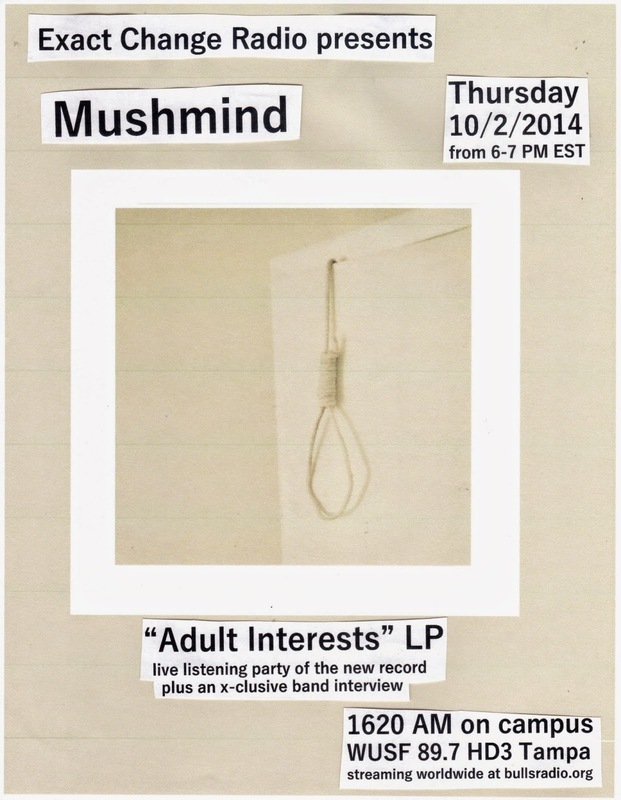 On this week's radio show, Ybor City's Mushmind will be joining me in studio to listen to their new record in full as well as chatting about guitar gear, record collections and life on the streets on Tampa. Tune in this Thursday from 6-7 PM EST. Full interview and show is archived here! 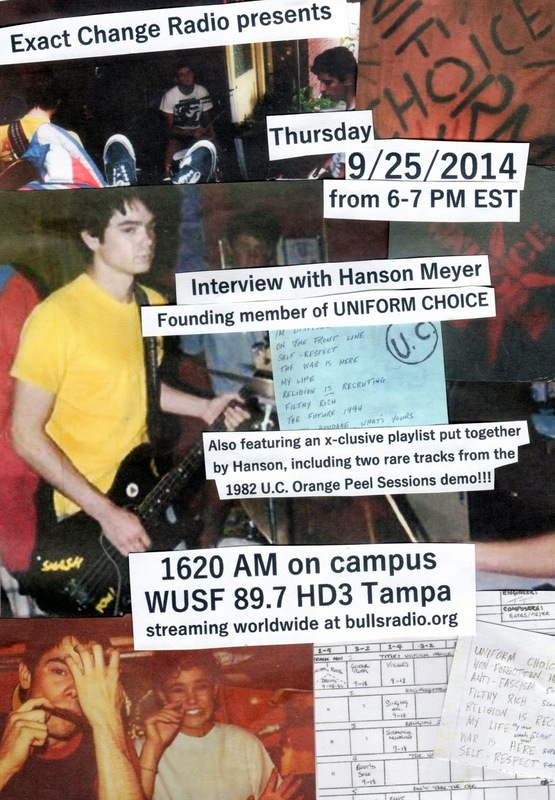 Make sure to tune in live next week for this very exciting guest, Hanson Meyer, the original bassist of Uniform Choice. Link to archived show will be posted here afterwards. The interview will be held over the phone. If there are any specific questions you want to ask, leave a comment on this post or e-mail me at garrettxstrobel@gmail.com with your questions. 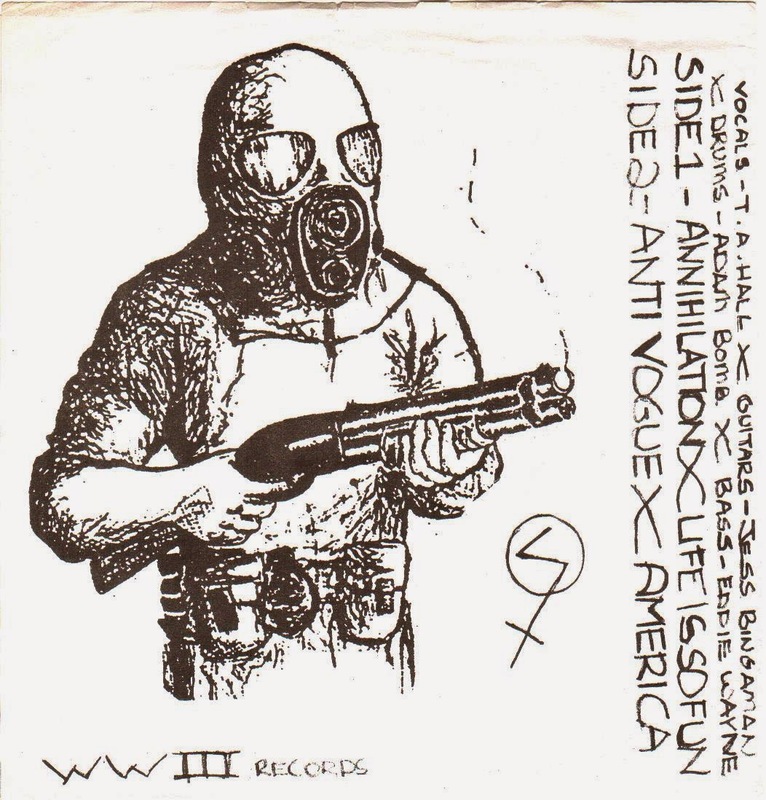 Update 9/26/2014 - Full interview and playlist for stream/download here. A couple hiccups along the way, but it all worked out in the end! Tune in to Bulls Radio tonight from 6 - 7 PM for Exact Change Radio, back for another semester. If you are on the USF campus, tune in to 1620 AM or WUSF 89.7 HD3 Tampa. The whole world can stream it online at http://bullsradio.org/. After the show, I will post a link to the archive on this post. Tonight, you can expect to hear tracks from bands such as Jerry's Kids, Social Coma, Zouo and more. I will also regularly use the show as a way to talk about upcoming gigs, release general info about the label and fanzine, as well as feature some X-clusive news, interviews, tracks and goodies!